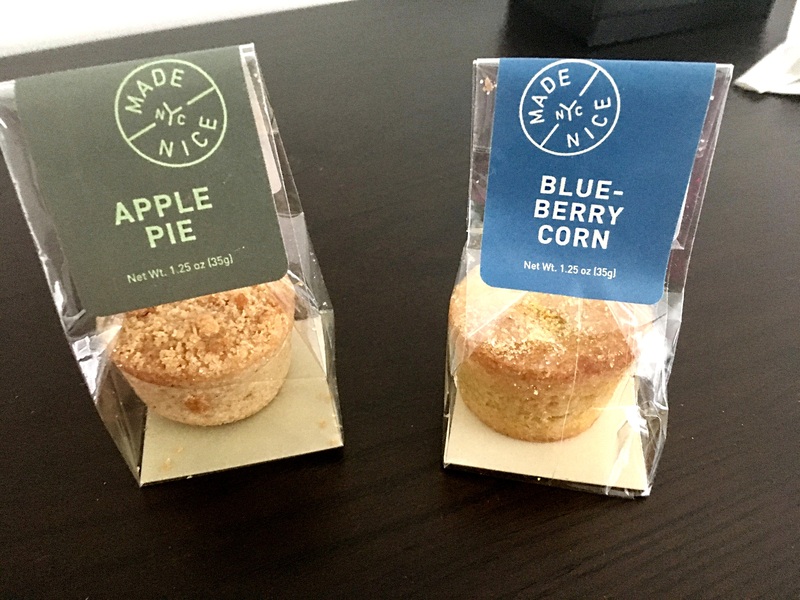 Made Nice is a casual restaurant by Chef Daniel Humm and Restaurateur Will Guidara of Eleven Madison Park and The NoMad. We picked up our food about one hour before we ate it. The portions were generous considering the price and tasted pretty good. Service was friendly. I talked to the guy who was taking the order while the staff was holding their meeting and he even gave us two mini muffins on the house. A very nice gesture. I loved this dish. The hanger steak was still good considering we ordered it an hour before. 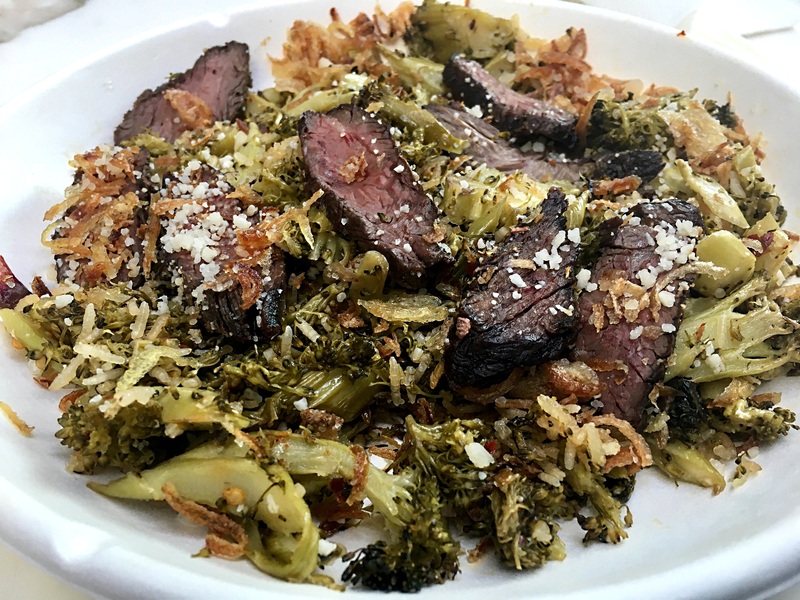 There were plenty of roasted broccoli. 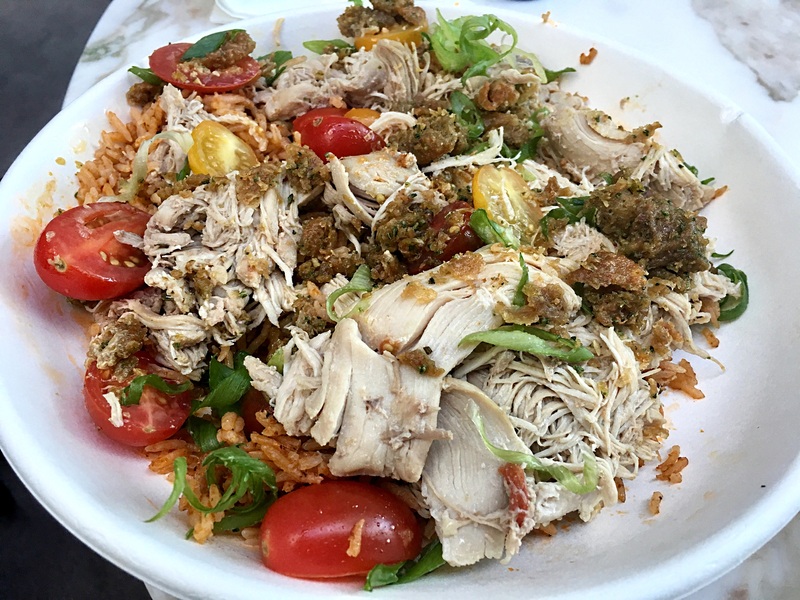 The crispy rice and crispy shallots provided a lot of flavor and crunch. My husband’s choice. He likes his rice and was happy with the dish. There were plenty of tender chicken. They were both pretty good.